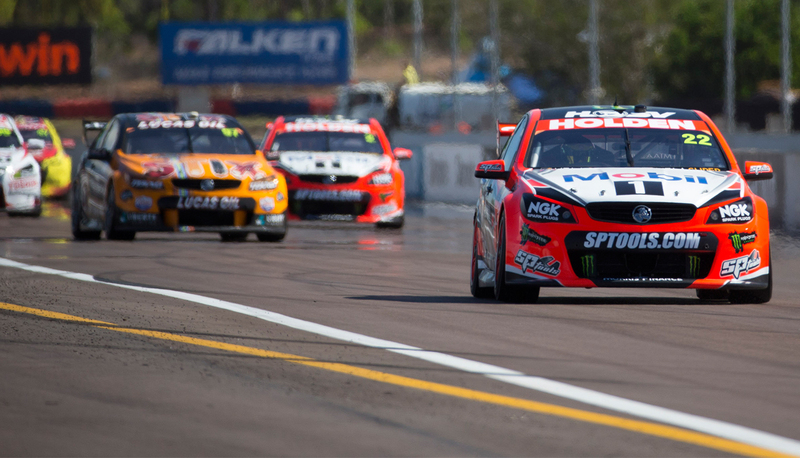 A mandated drop gear ratio change for Darwin will promote passing and mean less stress on mechanical components during this weekend’s Supercars races at Hidden Valley. After last year’s resurface, cars were hitting the rev limiter on the one kilometre straight earlier than ever, on both soft and hard tyres. Once cars 'hit the wall' overtaking becomes a moot point, while there is also concern about the potential impact on driveline reliability from hitting the Supercar imposed 7500rpm limit. Supercars changed the drop gear ratio for Sandown and Bathurst last year to alleviate mechanical stress on the cars, and will do the same thing for Darwin this weekend. Queensland Raceway, Sydney Motorsport Park and Gold Coast are all flagged as places that may require a change, though Sporting and Technical Director David Stuart said Supercars would thoroughly evaluate each circuit on the calendar. The new drop gear for Darwin is the same as teams use for Sandown, so it is not an additional cost or new component. “We’ve chosen a ratio we believe ticks all the boxes – the main aim is to keep the cars off the limiter for mechanical sympathy. If it opens it up racing opportunity that’s even better for the drivers and the spectacle,” Stuart told supercars.com. But Stuart warned against making predictions of new lap records, given the impact the change has on other parts of the circuit. After the resurfacing last year, the Darwin lap record was reset to 1min06.2526 by David Reynolds in a Prodrive Falcon during Sunday qualifying, funnily enough on the hard Dunlop tyre. “What it will mean is the amount of engine rpm they are carrying out of the last corner will be lower, so that will affect the acceleration rate of the car,” he said. “So lap-time might not change because out of all the corners the acceleration rate will be slightly slower. Stuart said Supercars would consult with teams before any changes, and looked further ahead than this season.